The Bucas Buzz-Off Rain Full Neck Rug is perfect when the weather is changeable. Warm and wet days are not unusual which is why Bucas have combined features of the Buzz-off fly sheets and Sun Shower lightweight turnout to create the Buzz-Off Rain Sheet. The upper part of the Buzz-off Rain is waterproof and breathable while the lower part is made of Buzz-off fly sheet fabric. Together you have a light weight UV protective and waterproof rug. 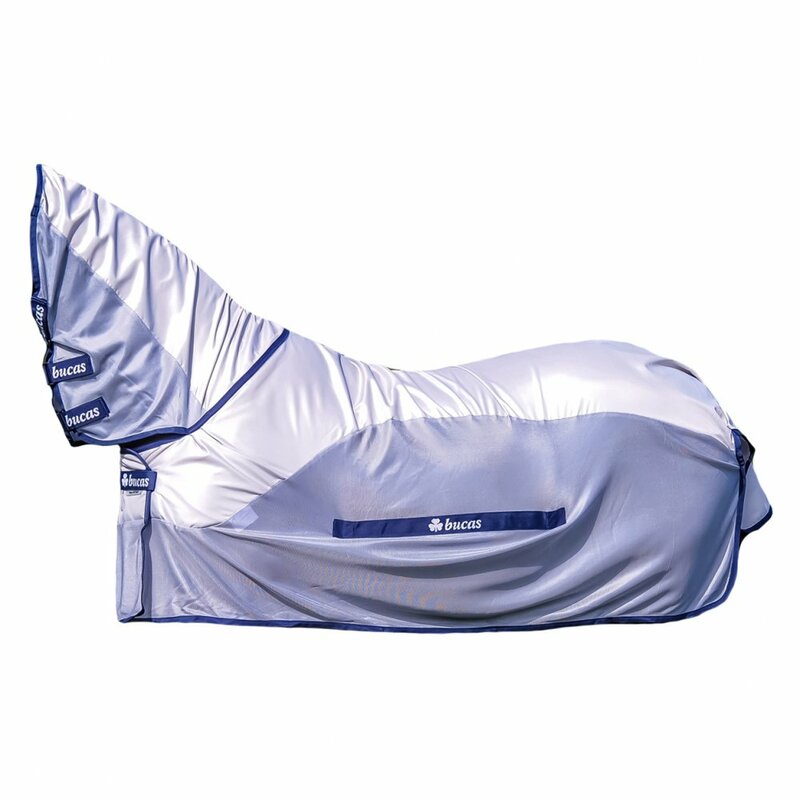 The Bucas Buzz-Off Rain Rug has an integrated neck cover and belly flap to offer maximum coverage and protection from flies. The unique elasticated and detachable belly pad also helps to stabilise the rug in position. The generous tail flap offers protection to the tail. The waterproof top section of the rug is lined with a breathable mesh to help prevent overheating and the entire rug is designed to be sun reflective. The Bucas Buzz-Off Rain Fly Rug is a highly effective, performance fly rug to see you through whatever the British summer throws at you!